WASHINGTON, Jan. 28,, CMC – Reports here says most Americans want legal status for Caribbean and other “Dreamers,” but a few are adamant that they should be deported. For Pav Sterry of Columbus, Ohio, legalizing any undocumented immigrants — even those who came as children without a choice in the matter, is just plain wrong, according to the New York Times. Huy Pham of St. Paul, Minnesota, believes any concessions for the so-called Dreamers will unleash another tidal wave of illegal immigration while Daniel Cotts of Phoenix, Arizona regards “blanket amnesty” for them as unfair to foreigners who languish for years waiting to come to the US the legal way. The paper says polls have shown that a large majority of Americans support protection for young Caribbean and other immigrants who were brought to the United States illegally as children. Yet, there remains a slice of the American public for whom the idea of legalizing an undocumented immigrant has not gotten better with age, the Times said. It said they do not dispute that most of the immigrants are eager and hardworking and did not choose their station in life. But for these voters, that is all beside the point. 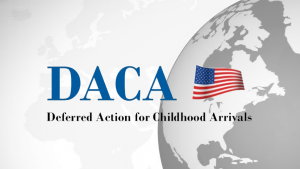 “I think DACA recipients should be given a few months to get their affairs in order and return to their home countries,” said Sterry, 58, a former math teacher, referring to the Obama-era program, Deferred Action for Childhood Arrivals, that President Trump has ended but which could be revived or replaced in a congressional deal. Less than a quarter of American voters, and in some polls as few as one in 10, share Sterry’s beliefs, the Times said. But it said they show how the country’s conflicted emotions about undocumented Caribbean and other immigrants have stymied legislation for more than a decade, polarizing the Republican and Democratic parties and most recently leading to the short-lived government shutdown that still did not settle the issue. Their counterparts on the liberal side are the progressives who are upset with Senate Democrats like Chuck Schumer, the minority leader, for allowing the government to reopen without a guarantee of protection for DACA recipients, known as Dreamers, the Times said. But he, too, has felt the pull from people in his administration who objected to the program, which was created by former President Barack Obama in 2012, the Times said. Voters opposing legalization were often well-informed about some of the details of the immigration debate, such as E-Verify, an electronic worker-verification system that many Republicans want to make mandatory for employers, and the diversity visa lottery,which admits up to 50,000 foreigners a year who must be vetted, but do not need any special skills or family ties to the United States, the Times said. It said proposals to eliminate the lottery have been circulating for years. At the same time, a few of those interviewed held to common misconceptions about the young immigrants. Some said the immigrants should not be allowed to become legal if they had not tried to do so before DACA was created. But it is almost impossible for people to secure green cards once they have been here illegally for several years, the paper said. It said others expressed the sentiment that the immigrants’ parents should have gotten “in line,” though for many foreigners, a legal pathway into the US exists only if they have special skills or relatives in the United States who are citizens. While these voters remain in the minority, support is not absolute among the majority who want to legalize the young immigrants. In a CNN poll last week, 84 percent of those surveyed said they supported legal status for Dreamers. But when given a choice between keeping the government open and passing DACA legislation, 56 percent of those polled said it was more important to keep the government open and only 34 percent said a legalization bill was more important, with the rest believing they were equally important or having no opinion, the Times said. It said the lack of firm support for the shutdown most likely contributed to Democrats’ decision to end it on Monday.